Find Hatch Opal at Spring Canyon Dam just south of Hatch. When the dam was constructed, dynamiting the arroyo exposed veins of moss opal, a lovely pink with delicate black lines common opal. Join the El Paso Cactus and Rock Club and drive 1.5 hous to the Spring Canyon Dam just south of Hatch, NM. Meet at the Dairy Queen on Transmountain Road and I-10 at 9AM sharp. (MAP) Then regroup first at Jim’s Super Market, 150 W. Hall in Hatch, NM (MAP) before driving to Spring Canyon Dam. There is a very short hike to the opal veins. High clearance vehicles are recommended but not required. Be sure to bring water and wear appropriate clothing. 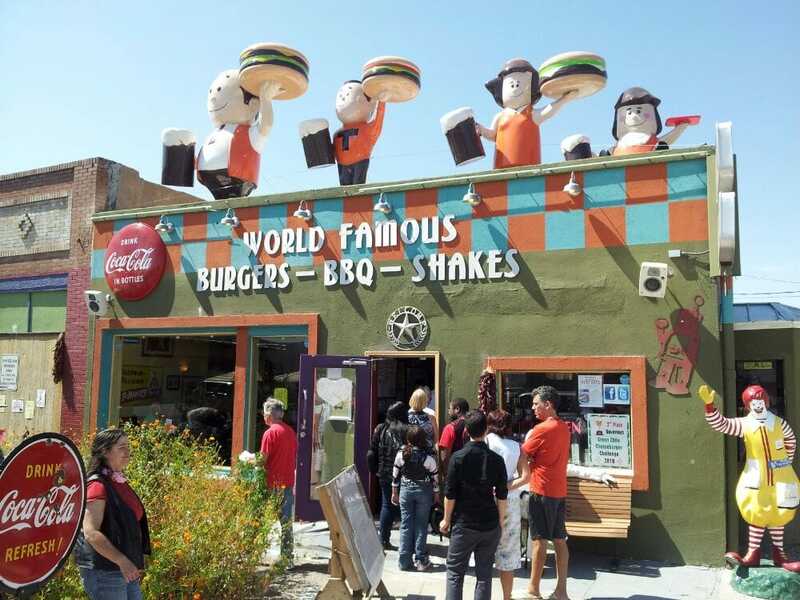 After the hike, eat at world famous Sparky’s Burgers in Hatch. Wow! I love their Hatch Green Chile Cheeseburger with a Chile Mango Shake. If you have questions, please contact Jean-Claude at 915-504-4069 or wilbur1111@att.net. Learn more about the El Paso Cactus and Rock Club.